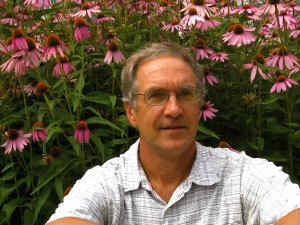 Hello, I am Paul Porter, a professor in the Department of Agronomy and Plant Genetics at the University of Minnesota. From March 14th until May 15th 2010 I will travel by bicycle through six African countries starting in Nairobi, Kenya and ending in Cape Town, South Africa. I will be traveling with a Canadian-based bicycling tour-group known as Tour d’Afrique. As I travel I will be observing the food, agriculture and agroecosystems and relate these observations back to a class I will be teaching at the University of Minnesota. The title of the course is “Food and Agriculture from Cairo to Cape Town at 10 mph”. The course designator is CFAN3480 or CFAN3000H. In 2009 I participated in the ride, starting in Cairo, Egypt. At about the half-way point, after about 6,000 kilometers, a fall in southern Tanzania resulted in my breaking my right ulna in the right arm. I returned to the States for required surgery. You can read about the daily experiences in 2009 at this blog-site. Tour d’Afrique has conducted this bicycle race/expedition annually since 2003. Each year there are typically between 35 and 55 riders. The tour will start in Cairo Egypt in mid-January. Some riders race, some participate just for the experience. The entire tour will have approximately 96 cycling days, averaging about 124 km or 77 miles each day. There will be 22 rest days and two travel days for a total of 120 days. I will participate with a keen eye toward acquiring more knowledge of the agroecosystems I encounter. I will comment on the food and agriculture as the group travels through 10 African countries: Egypt, Sudan, Ethiopia, Kenya, Tanzania, Malawi, Zambia, Botswana, Namibia, and South Africa. For more information on the bike tour and route see www.tourdafrique.com. 3rd, raise funds for environmental protection and promote bicycles use in Africa. My objectives in participating in the tour include those stated above plus gaining a greater appreciation for the production and consumption of food as we travel across the differing agroecosystems from northern to southern Africa. Rather than request monetary donations from folks like you to support worthwhile causes in Africa, I instead ask of you to give something even more precious – a bit of your time, heart and consideration. Come along with me for the ride. Commit to learning more about local food issues and cultures different or perhaps not so different from our own. Once the tour begins in early January this website will be frequently updated. Do come back…. Life is a gift – Enjoy.